WILSONVILLE, OR — The City of Wilsonville announces that the new Kinsman Road extension that connects SW Barber Street to SW Boeckman Road is opening on budget and four months ahead of schedule during the week of Jan. 15. In addition to providing another routing connection for travelers, construction of the roadway incorporated simultaneously other water- and sewer-installation infrastructure projects that resulted in reduced public disruption and costs. 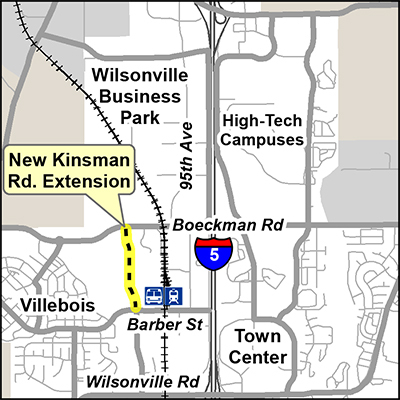 Originally scheduled for completion in June 2018, the $8.6 million half-mile-long roadway segment, located between Villebois and the industrial westside of Wilsonville, connects two major arterials that greatly improves the city street-grid and provides increased connectivity for both freight and residential traffic. 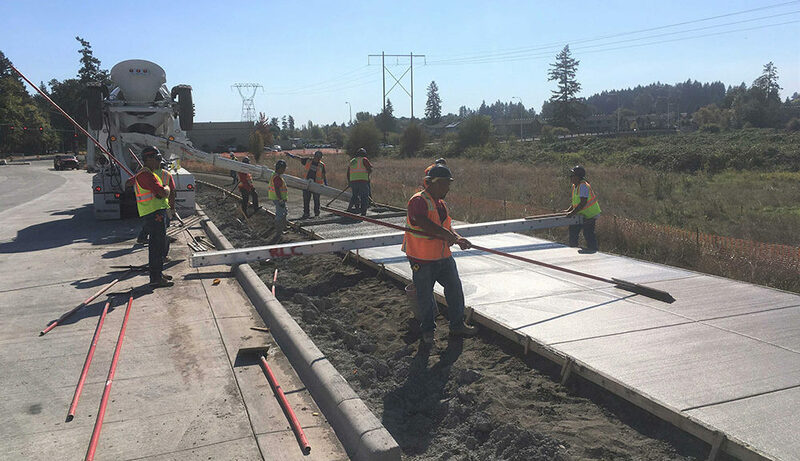 The new Kinsman Road extension was constructed as a heavy-duty concrete roadway complete with sidewalks and bike lanes that also provides increased public access to the Wilsonville Transit Center, including SMART Central bus and Tri-Met WES commuter rail service. City engineers worked to combine $5.1 million of other public infrastructure projects with the long-planned road extension in order to more efficiently use taxpayer-funds. The Kinsman Road project included the installation of a $4.0 million segment of a major drinking-water pipeline and a $1.1 million sanitary sewer pipe. Simultaneous construction of the road, Willamette Water Supply Program (WWSP) water pipeline and sewer project allowed various local governments to all save money and minimize disruption to the public by utilizing one contractor and sharing common costs, such as contractor mobilization, traffic control, permitting, project design, right-of-way acquisition and environmental protections that all three projects would have incurred if performed separately. The Willamette Water Supply Program, a partnership between the Tualatin Valley Water District (TVWD) and the City of Hillsboro, installed nearly 3,000 feet of 66-inch diameter pipeline that is the first completed section of 30 miles of large-diameter water-supply pipeline from Wilsonville to Hillsboro and Beaverton. 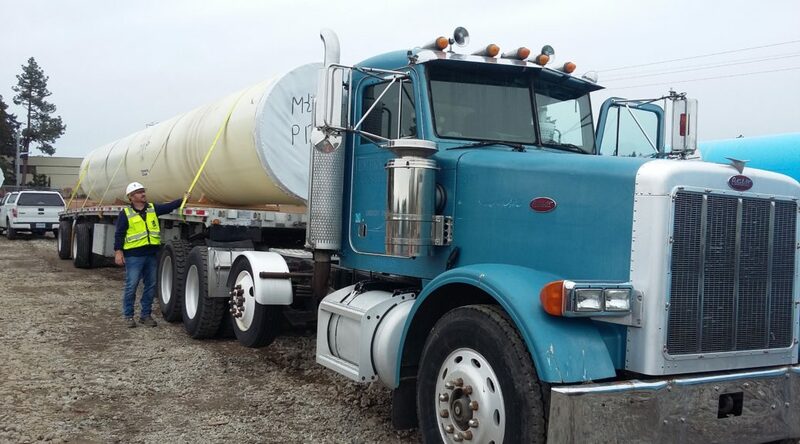 The pipeline is made of half-inch thick steel with welded joints, a cement mortar lining inside the pipe, and a highly durable polyurethane coating on the outside. Future segments of the pipeline are to connect along Boeckman Road to the east and on Kinsman Road to the south of Barber Street. The City also installed over 3,000 feet of new sewer line in the acquired road right-of-way that is designed to serve the regionally significant Coffee Creek industrial area now under development. The Coffee Lake wetlands complex adjoins both sides of the Kinsman Road extension. The west side of the new roadway features an extra-wide sidewalk and benches for wildlife and habitat viewing. Fencing along the road and a series of wildlife corridor passages beneath Kinsman Road, including round and box culverts, were constructed to improve safety for both drivers and wildlife. These details maintain wildlife corridors within an urban landscape and mirror the natural resource protection previously achieved with the Boeckman Road project that also crosses the wetlands. The project design team was led by OBEC Consulting Engineers, and Emery and Sons Construction Group of Salem managed the construction project. The water-supply pipe was manufactured by Northwest Pipe Co., which specializes in large-diameter steel pipelines. A total of 90 local jobs are estimated to have been sustained during the course of the 12-month-long project. Funding for the combined $13.7 million road-sewer-water pipeline project came from City transportation and wastewater system development charges, federal/state funds (U. S. Dept. of Transportation Multimodal Transportation Enhance Program (MTEP) through the Statewide Transportation Improvement Program (STIP) and Surface Transportation Program Urban (STP-U)), and the ratepayers of the TVWD and City of Hillsboro. The Willamette Water Supply Program (Program), a drinking water infrastructure partnership between the Tualatin Valley Water District and the City of Hillsboro, has released its baseline design and construction schedule – a milestone that sets a multitude of business opportunities into motion for the next decade. 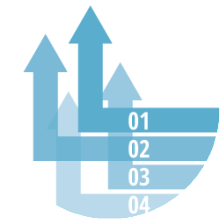 The Program schedule includes the various construction components needed through 2026 when water will begin to flow to Tualatin Valley Water District and City of Hillsboro water customers through the new water system. 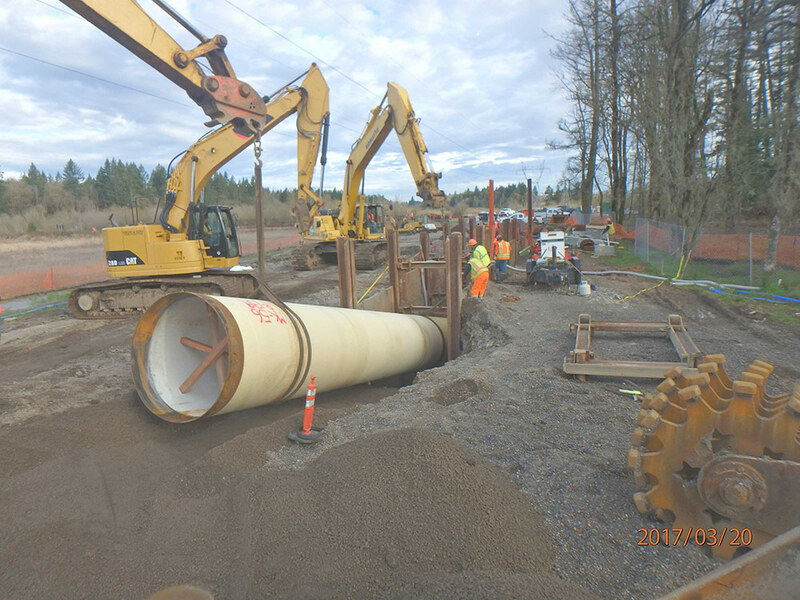 The first pieces of pipe for the Willamette Water Supply are installed, marking a significant milestone for the regional water system partnership between the Tualatin Valley Water District (TVWD) and City of Hillsboro as pipeline construction is now underway. Community leaders and staff will gather at the south side of Tualatin-Sherwood Road and SW 124th Avenue at 1 p.m. Thursday, Nov. 12, to celebrate the groundbreaking of the upcoming roadway and pipeline projects. Speakers include Andy Duyck, chair, Washington County Board of Commissioners; Lou Ogden, mayor, Tualatin; Krisanna Clark, mayor, Sherwood; Tim Knapp, mayor, Wilsonville; Mike Duyck, fire chief, Tualatin Valley Fire & Rescue; and Marilyn McWilliams, board president, Tualatin Valley Water District. Community leaders and staff will gather at the south side of Tualatin-Sherwood and SW 124th Avenue at 10 a.m. Wednesday, Sept. 16, to celebrate the groundbreaking of the upcoming roadway and pipeline projects. Willamette Water Supply Program partners, City of Hillsboro and Tualatin Valley Water District (TVWD), are teaming up with Washington County to construct nearly 2.7 miles of a large-diameter drinking water transmission pipeline in conjunction with the County’s 124th Avenue Extension road project. This is the first section of the more than 30-mile water transmission pipeline to be built as part of the Willamette Water Supply Program. Willamette Water Supply Program (WWSP) leadership announced the hiring of Program Director Dave Kraska. Kraska will manage the Willamette Water Supply Program on behalf of Tualatin Valley Water District (TVWD) and the City of Hillsboro. He will have responsibility for direct oversight and successful completion of the Program. 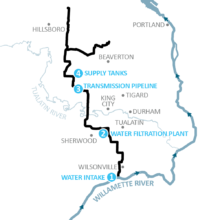 Tuesday March 3, the preferred pipeline route for the Willamette Water Supply Program was shared with the Tualatin Valley Water District (TVWD) Board of Commissioners. Program partners, TVWD and Hillsboro Water, agreed last week to move the preferred pipeline route to the next round of technical review and continued public engagement. The preferred pipeline route will be shared with the other jurisdictions along the route during the next two months. The preferred route is more than 30 miles long, from Wilsonville north through Hillsboro and Beaverton. In an effort to encourage participation, the Willamette Water Supply Program’s online “virtual” open house will remain available for public comment through Monday, December 15. Through the “virtual” open house, Tualatin Valley Water District (TVWD) and Hillsboro Water are inviting Washington County residents to share their views on possible water pipeline routes proposed for the Wilsonville, Tualatin, Sherwood, King City, Tigard, Beaverton and Hillsboro areas. To participate, visit www.OurReliableWater.org. Community feedback from the open houses will be used to help select a preferred pipeline route in early 2015.